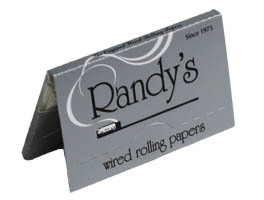 Randy's Wired Rolling Papers have been manufactured in the United States since 1975. 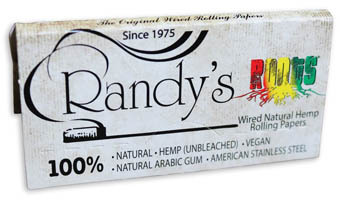 Randy's offers two types of rolling papers, Classic and Hemp. The Classic rolling papers are made from only the finest paper and the Hemp are made from 100% natural unbleached hemp. The built in wire has two benefits. It is perfect for hand rolling with or without a rolling machine. Once you start burning your paper, the wire easily bends down making it a perfect handle to eliminate awkward passing. The wire is made from North American Stainless Steel and does not get hot so their is no need for a clip. Enjoy your smoking experience in an all natural way.